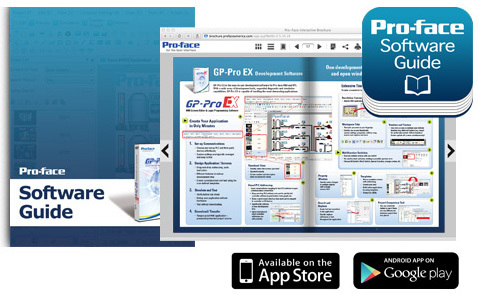 The Pro-face Software Guide provides a comprehensive overview of the Pro-face software lineup, including detailed features of our powerful HMI development software GP-Pro EX, Pro-Server EX, and Remote HMI. Includes over 50 educational videos-all right at your fingertips! ...and it's FREE!